The pro-GMO lobby talks about choice, democracy and the alleged violence of certain environmental groups but says nothing about the structural violence waged on rural communities resulting from IMF/World Bank strings-attached loans, the undermining of global food security as a result of Wall Street commodity and land speculators, the crushing effects of trade rules on poorer regions or the devastating impacts of GMOs in regions like South America. To discuss such things is political and thus ‘ideological’ and is therefore not up for discussion it seems. 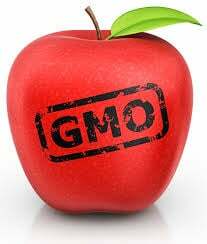 When it says sound science should underpin the GMO issue, it does everything it can to circumvent any sciencethat threatens its interests. When it says its critics have a political agenda, it side lines debates on how it hijacks international and nationalpolicy making bodies and regulatory agencies.